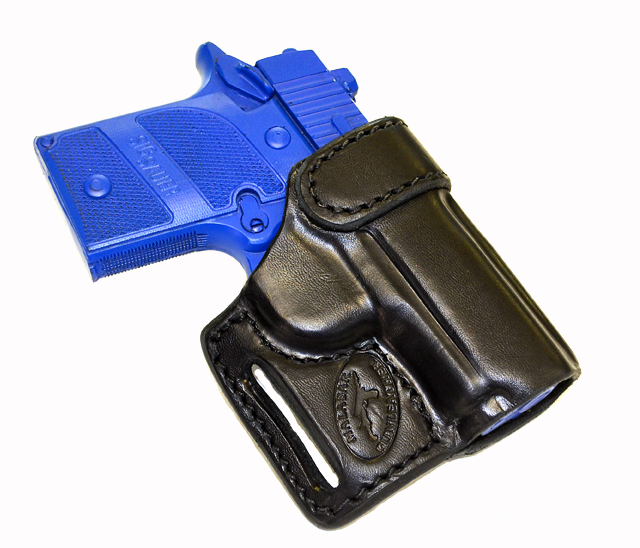 This is a scaled down version of the classic known as the Bruce Nelson Professional or Askins Avenger. 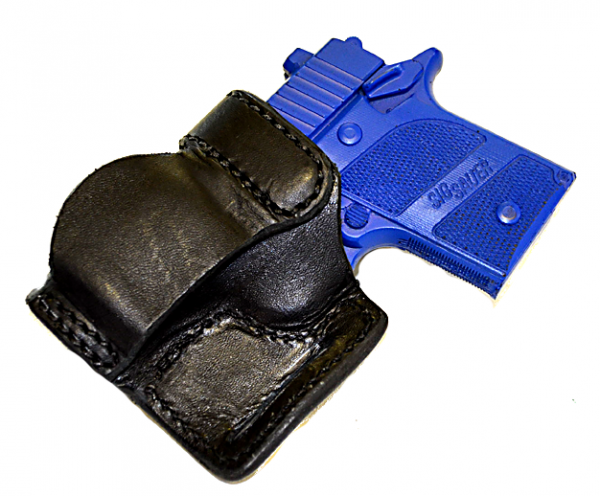 It is a high-ride Outside-the-Waistband holster that features a wrap-around design that's very different from a pancake. -- custom molding that fits the specific model of gun like a glove. 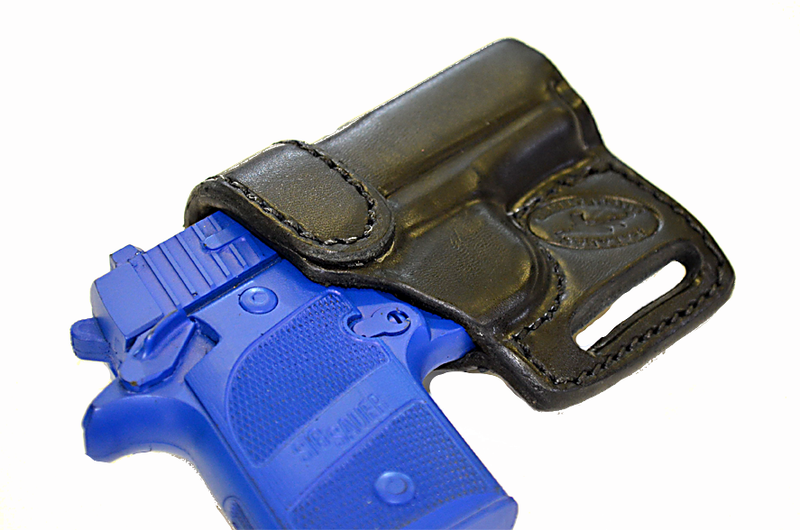 -- a high ride for better concealment. Can be ordered with a leather guard to keep the hammer and spur from biting into your side (although most people find this unnecessary). 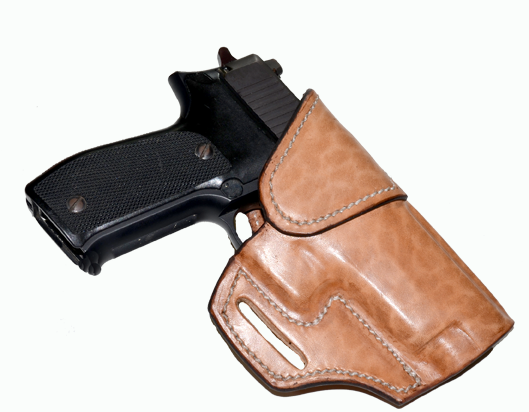 Pricing: $65 in black, russet or natural cowhide and $75 in natural tan horsehide for subcompact pistols; $75 in black, russet or natural cowhide and $85 in natural tan horsehide for full- and mid-sized pistols and many revolvers.